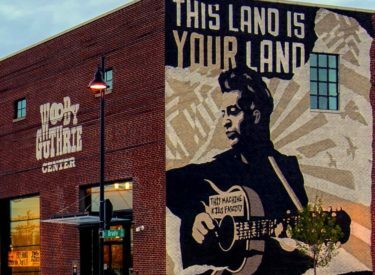 TULSA, Okla. (AP) – The Woody Guthrie Center is honoring Oklahoma teachers for demanding improvements to state education through a nearly two-week walkout. Center director Deana McCloud says in a news release that teachers win the 2019 Changing World Prize and that Guthrie would have marched with them as they thronged the state Capitol last April to demand pay raises and more classroom funding. Oklahoma teachers joined a springtime revolt of educators across the nation, including Kentucky, West Virginia and Arizona. Republican Gov. Kevin Stitt said Monday he wants to give teachers another $1,200 annual raise on top of the average $6,100 bump they got last year. In 2018, the Guthrie Center gave the Changing World Prize to the late Clara Luper and members of an NAACP youth group who led in the integration of Oklahoma City businesses 60 years ago.